Delivered on a USB hard drive, the Windows-compatible eMedia Music Band-in-a-Box 2019 UltraPAK+ is automatic accompaniment and music creating software designed to provide a virtual backing band for songwriters, musicians, and composers. It can generate rhythm tracks, chords, melodies, and solos in a variety of musical genres, from jazz to dubstep. Band-in-a-Box 2019 includes 64-bit and 32-bit application versions and can operate as a standalone app or as a VST plug-in within your DAW. Band-in-a-Box 2019 provides expanded tracks of performances by noted studio musicians and a plethora of MIDI loops and phrases to inspire and enhance creativity. VST and Audio Units plug-in support, Hi-Q MIDI instruments, the included AmpliTube guitar amp simulator, and harmony generators allow you to create complex arrangements. The process of learning songs is simplified, due to the Audio Chord Wizard, which detects the harmonies, tempo, and key of imported audio. Songs can be rendered as audio or sheet music, making collaboration and sharing easy. In addition to the supporting Video RealTracks, compound time signatures, audio tuning, and ABC notation, the 2019 version of Band-in-a-Box includes the VSTSynthFont64 General MIDI synth, a redesigned SongPicker, StyleMaker improvements, MIDI drums notation, and much more. 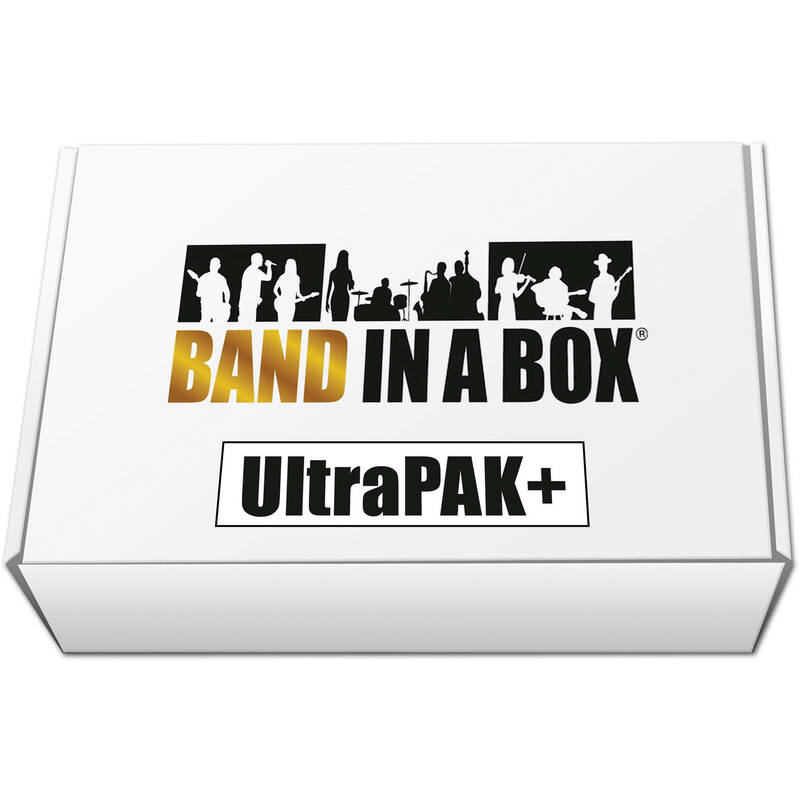 The UltraPAK+ edition includes the Band-in-a-Box Video Tutorial PAK and the MIDI Songs & Lessons PAK.